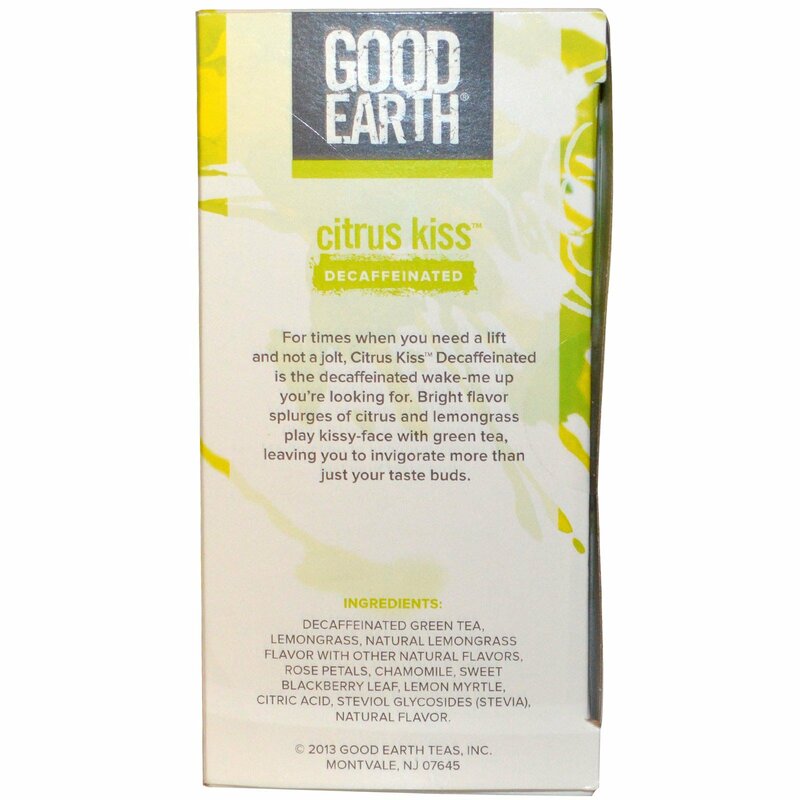 For times when you need a lift and not a jolt, Citrus Kiss Decaffeinated is the decaffeinated wake-me up you're looking for. Bright flavor splurges of citrus and lemongrass play kissy-face with green tea, leaving you to invigorate more than just your taste buds. We're Good Earth and we make tea. But we don't just stick to the ordinary stuff. We seek out the exotic. The unexpected. The moments where you can really let loose. Because that's what tea should do. And so that's how we make it. Amazing aromas and wondrous tastes. That's Good Earth. And that's Tea Untamed. It's not easy being good but someone has to do it. We care about you and the planet so we're not just sitting around, we're out there walking the talk (sometimes biking or running it but you get the idea). Good for you. Good for Earth. Our tea may be untamed, but our commitment isn't. Hot: Pour freshly boiled water over the teabag. Infuse for 3-4 minutes. Ice: Pour 2 cups of freshly boiled water over 6 teabags. Infused 10 minutes. Add 2 cups of cold water then serve over ice. 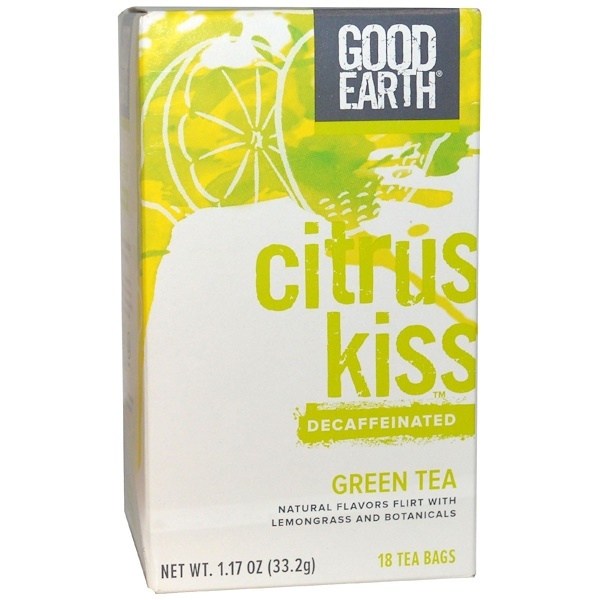 Decaffeinated green tea, lemongrass, natural lemongrass flavor with other natural flavors, rose petals, chamomile, sweet blackberry leaf, lemon myrtle, citric acid, steviol glycosides (stevia), natural flavor.